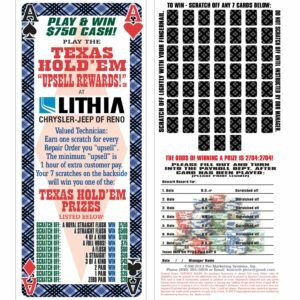 Motivate your entire team with Texas Hold’Em Sales Contest. 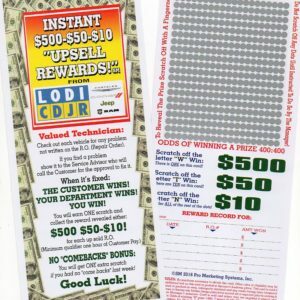 Dangle a HUGE Motivator Prize in front of them where 99% of all Players win. Instant Cash is the Motivational King! 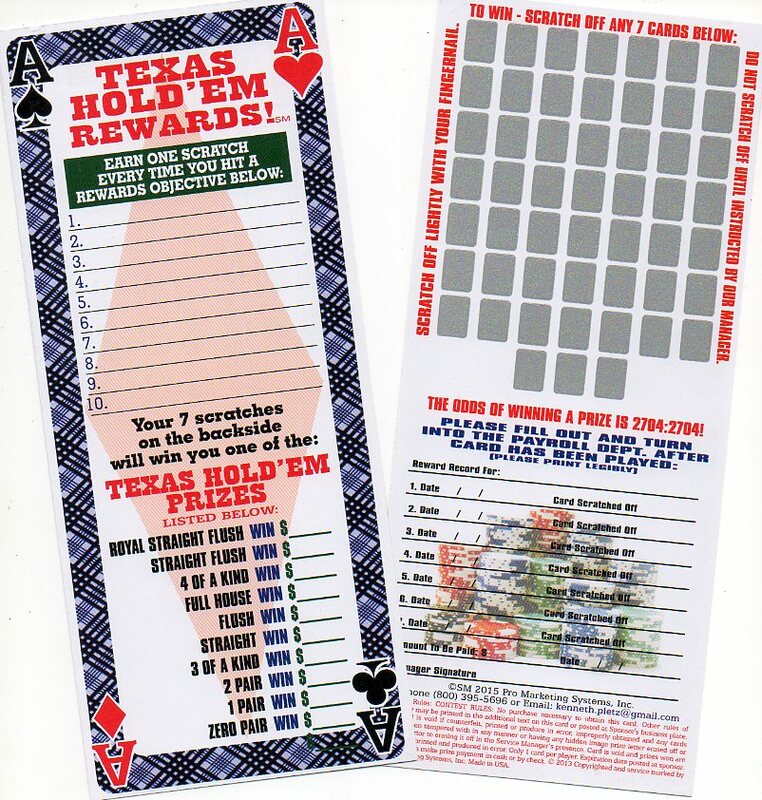 These Generic Cards enable you to set the Objectives and Prize Amounts — just write them in –then give every team member a TEXAS HOLD’EM REWARDS℠ scratch-off card to play. When they hit 7 Reward Objectives, they get 7 scratches and win the prize revealed. Remember, Cash is King! *99% of Players hit the zero or one pair reward. Service Mark ℠ Copyright © 2011-2017 Pro Marketing Systems, Inc.